Now that Fortnite developer has added the replay feature to Fortnite Battle Royale, the players can literally watch and share their favorite gaming moments to others. 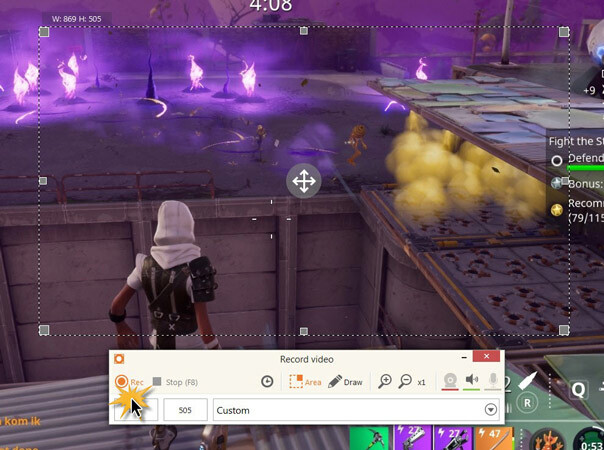 Still, we wonder how to permanently save Fortnite replays on PC since the plug-in replay feature doesn’t include the whole package for us to directly export the replay to computer. Well, if you are having this very problem with Fortnite, keep reading. So, for players who don’t know how to find their replays yet, please go to the Career tab under Battle Royale menu first, then, you will see “PROFILE”, “LEADERBOARDS” and “REPLAYS” options. 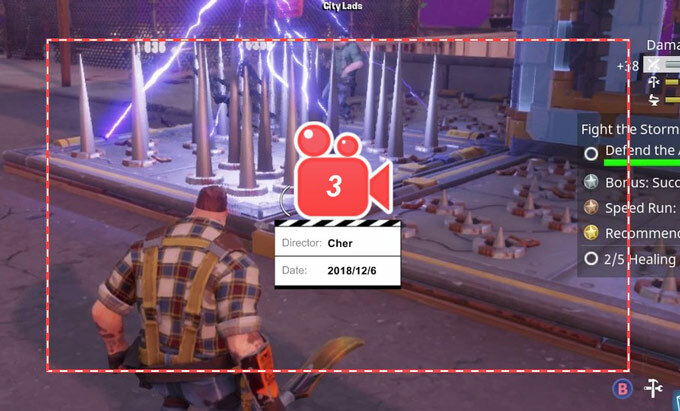 Just click “REPLAYS”, and you will find all the replay records which also includes “DATE”, “LENGTH”, “FINISH” and “ELIMINATIONS”. With this being said, let’s open one of the replay and start the recording work with following tools and methods! You may not know much about this online screen recorder, but this tool is definitely worthy of being recommended. First, it’s free. Yes! The 100-percent-free kind of free. Plus, it doesn’t prevent you from unlimited recording. And with a free registered account at its website, your recorded files will be without watermark. What’s not to like? 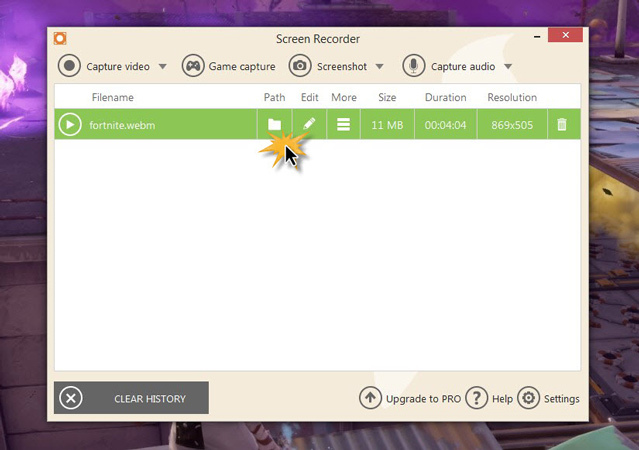 It would be brilliant to use this tool to record and save Fortnite replays to PC directly. 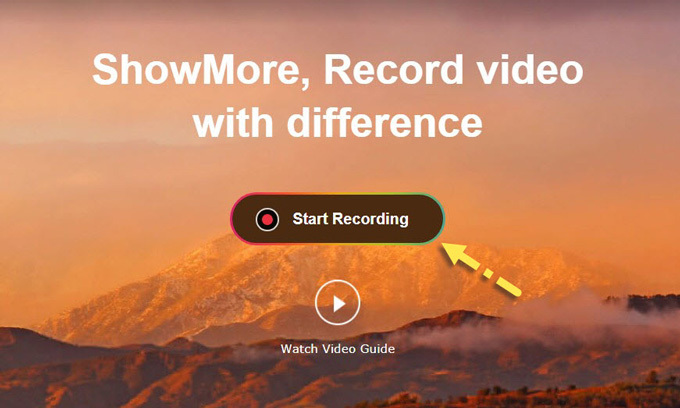 First of all, let’s go to ShowMore’s official website since it’s a free online tool. Next step, click “Start Recording”. Now, if you are a first-time user, it will remind you of downloading the online launcher. Just follow the downloading and installing process and you will not need to install it again. You can zoom in or out the recording area simply by dragging it. Then, click the red button to begin the replay recording. Normally you will have to wait for a 3-second countdown after hitting the recording so that you can have some buffer time to prepare the replay. Once the recording is officially started, you can do some painting work by your own, such as drawing lines, words or arrows through the annotation tool at the menu bar. 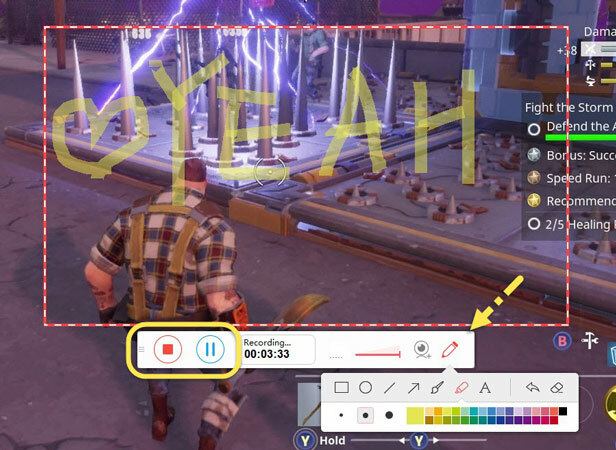 Lastly, click on the red button to end the Fortnite replay recording or pause the recording by hitting the icon next to it. 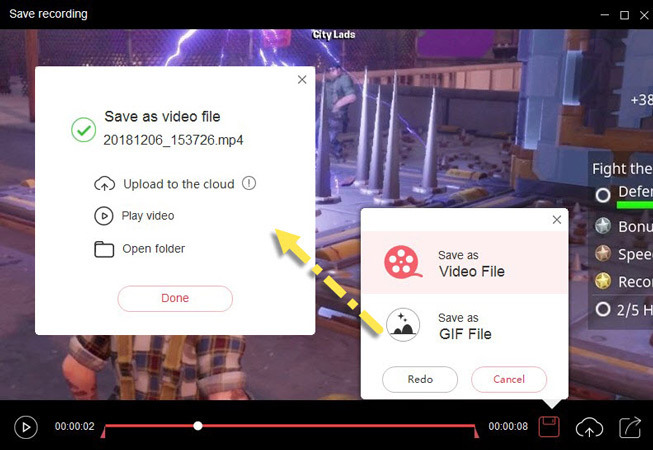 When the recording is finished, you can export the Fortnite replay as video or GIF file, then, you can choose to upload it to cloud or other platforms directly. Launch this recorder and click the big red REC to start the recording. Of course, you can also customize your recording area and add microphone sound from the main panel. 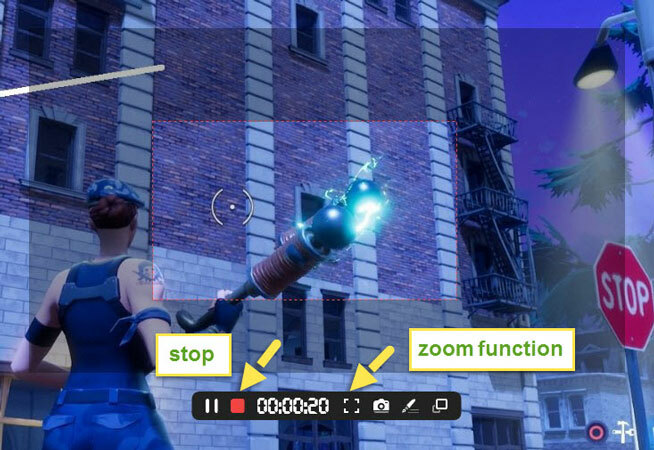 Zoom function is also available and can be used during the Fortnite replay recording according to your own preference or needs. Then, click the red square button to end the recording. Launch the software and click “Capture video”. Available options are full screen or custom area. Simply set the recording area as you want. 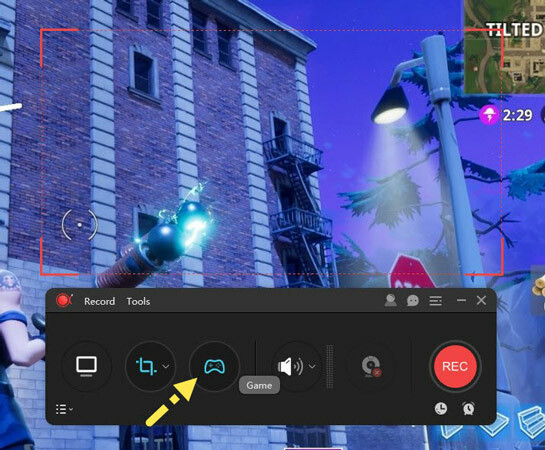 Click “Rec” to start the recording of Fortnite replay. In the middle of the recording, you can select “Draw” to expand the editing bar for further annotating. And once the replay recording is done, kindly use “Stop” or “F8” to end the process. As the recording work ends, the replay is being saved to the local storage where you can access by checking the “Path” section. Surely you know how to save Fortnite replays on PC by now. But you may hesitate a little when choosing among ShowMore, ApowerREC and Icecream Recorder. Well, there is one thing needs to be reminded while you are figuring out which one to choose. 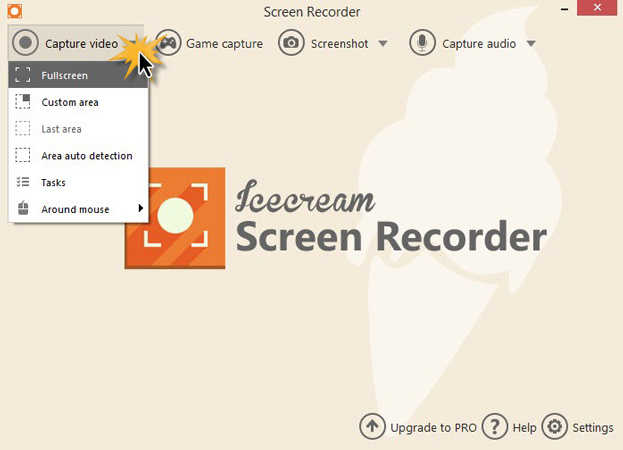 Both Icecream Screen Recorder and ApowerREC have recording time limitation and watermark on the trial version. 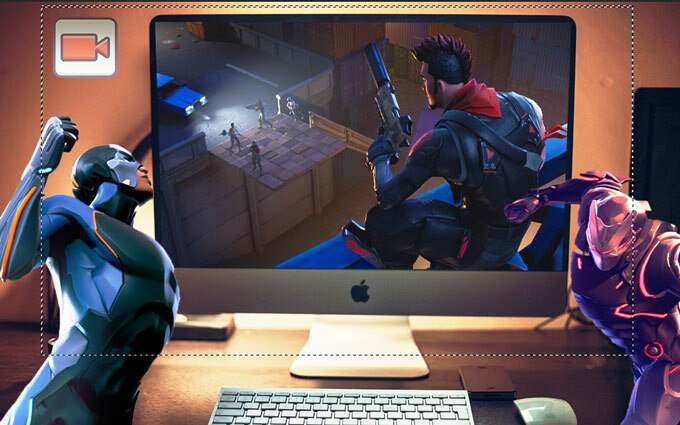 However, we cannot deny that the special gaming mode could be really helpful not only when we need to record Fortnite directly, but also useful for capturing other various games. Anyway, hope it helps!